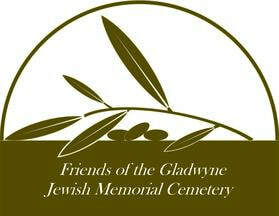 ​The mission of the Friends of the Gladwyne Jewish Memorial Cemetery is to ensure dignity for those interred at Har Hasetim and their families while honoring the historical, cultural and natural significance of the site. We will achieve our mission by working together with volunteers and with the support of community partners primarily through restoration and maintenance of the graves and natural features, sharing the story of the cemetery, and providing access to information about those interred at the site. Advancing creation of an accessible on-line database of all burials and developing a detailed historical timeline for the Har Hasetim cemetery. Stabilizing the property, installing Greaves Lane site access, and completing one area into final condition as described in the Master Plan adopted in 2017. Expanding fundraising and volunteer development through programming, membership, grants and outreach initiatives. View the cemetery from a whole new angle. Thanks to new drone technology, we can now get a bird's-eye-view of the cemetery and its beautiful natural surroundings. To receive and administer funds for the aforesaid purposes. COPYRIGHT © BETH DAVID REFORM CONGREGATION. ALL RIGHTS RESERVED.